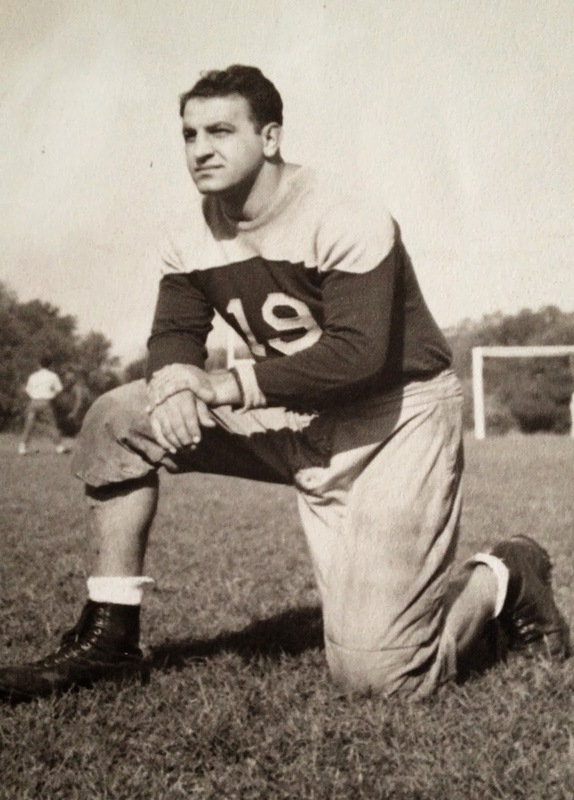 Grandpa was kind of a big deal in his day, or so the family legend says. He played football for St. Mary's in 1942 and could have played professional football but instead went on to open his own flower business in San Francisco. I was always a little afraid of him--he was a big man and he reminded me of The Godfather! So when I ended up with his chair, there was no way I was going to get rid of it! For years, it was in my in-law's formal living room, mixing company with a huge Persian rug, a beige sofa and more castle themed furniture. I refer to it as "the throne." Now that my mother-in-law is in a retirement home, there is no longer room for the "throne," so it ended up in our garage along with everything else. It even comes with an ottoman. But no one in the family wants this chair, especially me! It just doesn't fit into our decor, yet its sentimental value has kept me from taking it to Goodwill. Until daughter Ashley saw its potential. "I want Grandpa's chair" she said. We both agreed it needed reupholstering, particularly in a green velvet. "Oh, and can it have nailheads too?" 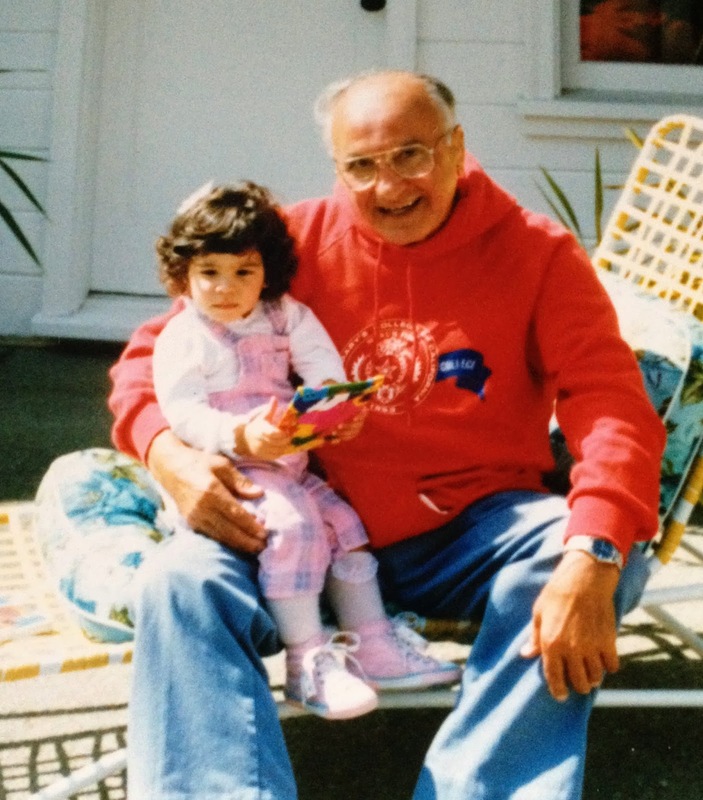 Now Grandpa's chair is right at home in her San Francisco apartment. 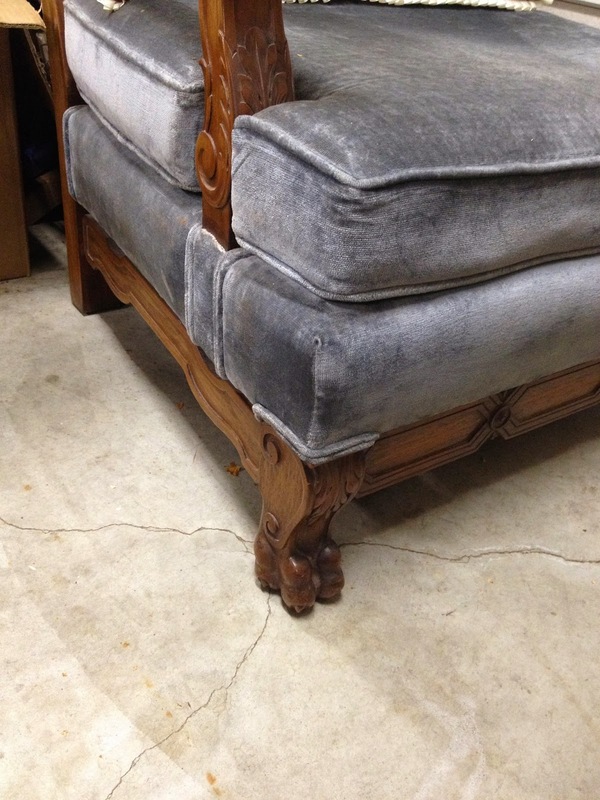 It has just the right amount of funkiness and goes perfect with her dark wood paneled living room. The chair sets the mood and inspires her to search for accessories like paisley pillows, antlers, vintage maps and prints. She has Grandma's vintage typewriter already lovingly displayed on the mantel. 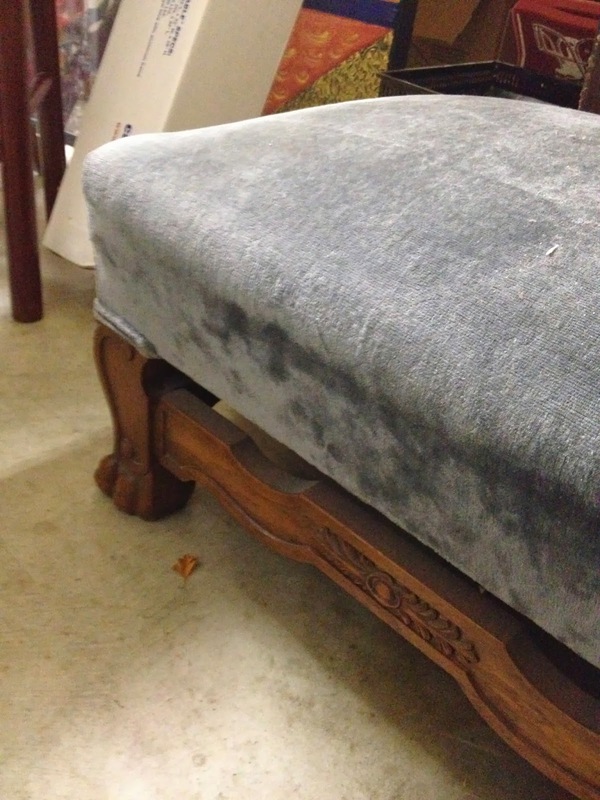 The ottoman also got a new look. I added the nailheads just around the legs only. A Pottery Barn kilim rug, handed down from me anchors the room and doesn't cover up too much of the dark wood floor. 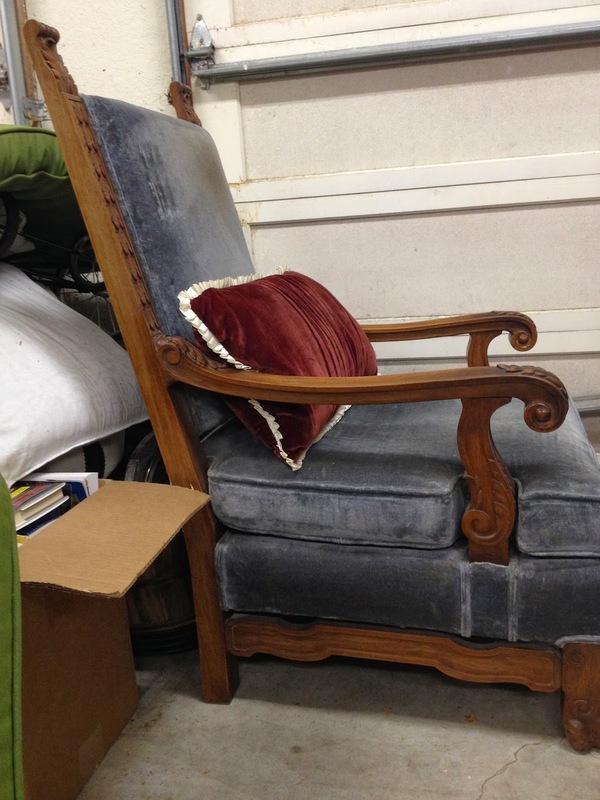 It is such a darling little apartment and the perfect new home for her Grandpa's chair! I'd like to think he would be happy and proud that his granddaughter wanted his chair and I'm happy it gets to stay in the family. I'm joining Marty at A Stroll Thru Life for Inspire Me Tuesday and Kim at Savvy Southern Style for Wow Us Wednesday. Oh, how incredibly touching! Just a beautiful tribute to Grandpa's memory!!! 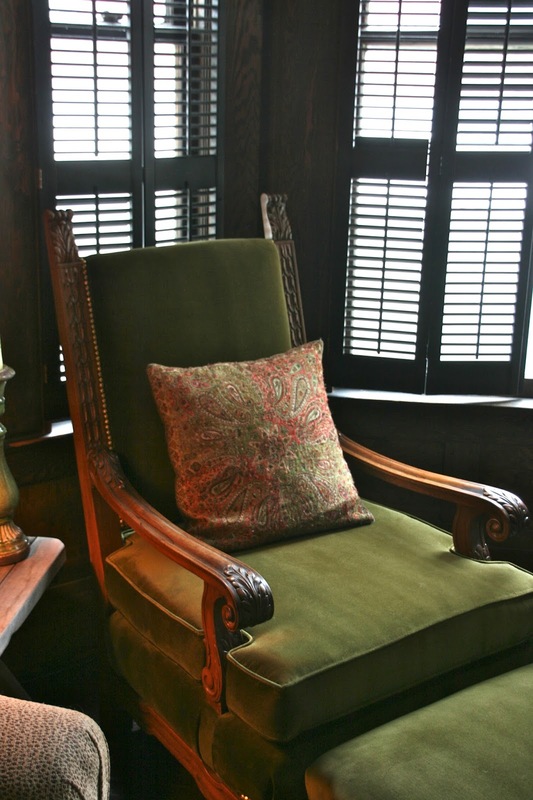 The chair really looks right at home in front of those great shutters. (I've been wanting shutters in our kitchen for a long time.) It's terrific, too, that the chair gets to share space in the same room as Grandma's typewriter. Good eye, Ashley! Enjoy it! OMW, cool story, handsome man and beautiful chair! Oh, I just love this post!!! Fantastic!! So glad his memory is alive with that chair! It looks fantastic!! I love tradition and keeping this treasure while making it perfect for her was such a great thing to do. What a keepsake and conversation piece. Such a happy ending, Delores, and it looks lovely in Ashley's room. Delores that chair looks great in your daughters apt!! LOVE the green fabric!! I'm sure he would be happy. And Ashley will be happy that she made room for it. I love pieces of family history lovingly tucked into our decor. Great job. It turned out gorgeous and truly a piece you will forever treasure. Oh, I love that! 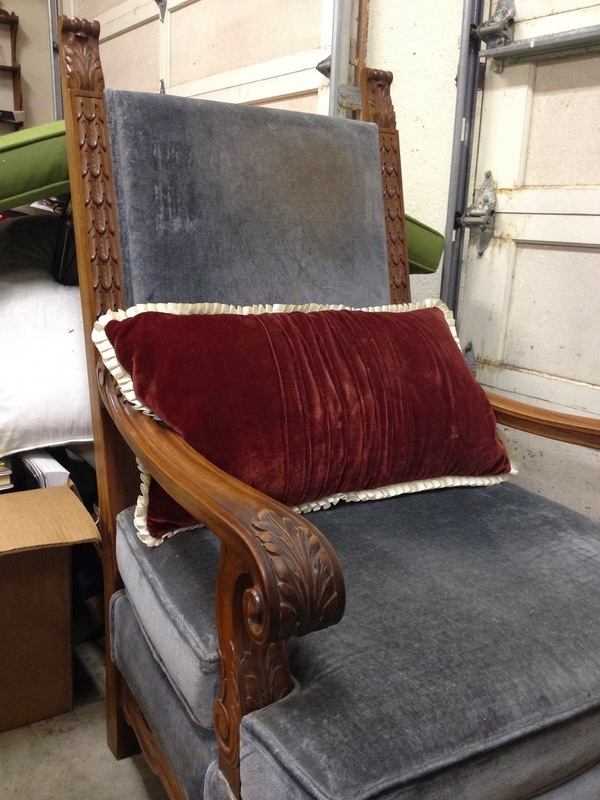 Eventually, everything finds its rightful place, and this chair looks fab in your daughter's apartment. Love it in the green velvet!! What a great story Delores! So glad that your daughter was able to keep it in the family! Thank God you did not get rid of it or donate it. It looks amazing in Ashley's apartment and I am sure Grandpa is smiling down on her and you for giving it new life. Whew, you had me scared there for a minute. 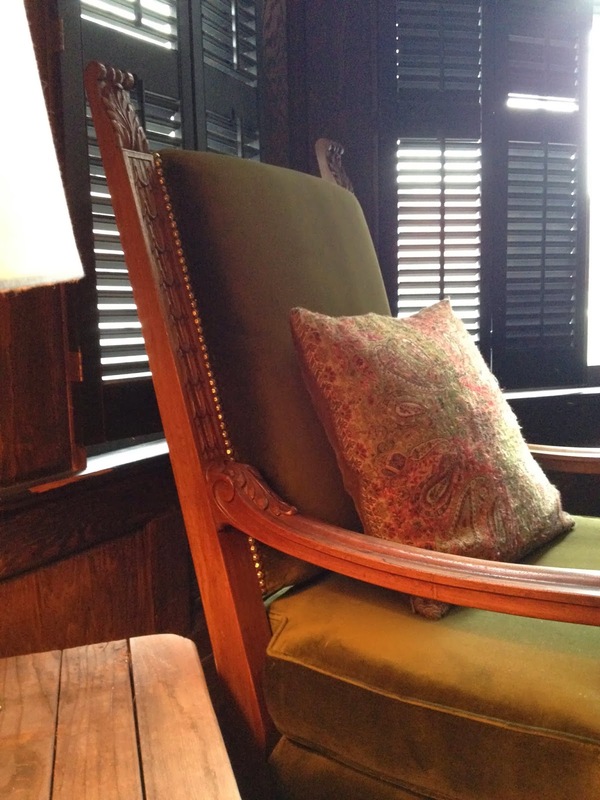 The chair looks wonderful in this fabric, it highlights the warmth of the wood. How sweet that Ashley can sit with her hands on the wooden arms and know that her Grandfather did just the same so long ago. What a beautiful chair! I'm so glad some of the "younger generation" appreciate family heirlooms. I was totally shocked and very happy when my daughter asked for her grandparents' Duncan Phyfe dining room set. She reupholstered the chair sets and it just looks beautiful in their dining room. I ran into this page accidentally, surprisingly, this is a great website.Cccam Server The site owner has carried out a superb job of putting it together, the info here is really and helpful when i do research. You just secured yourself a guaranteed reader. Love this story. When you first showed a grandpa pic, I thought wow, her husband sure looks like her grandpa?! His side lol! The chair fits perfectly in that corner. Would love to see more! From football to flowers, sounds like the apple didn't fall far from the tree. 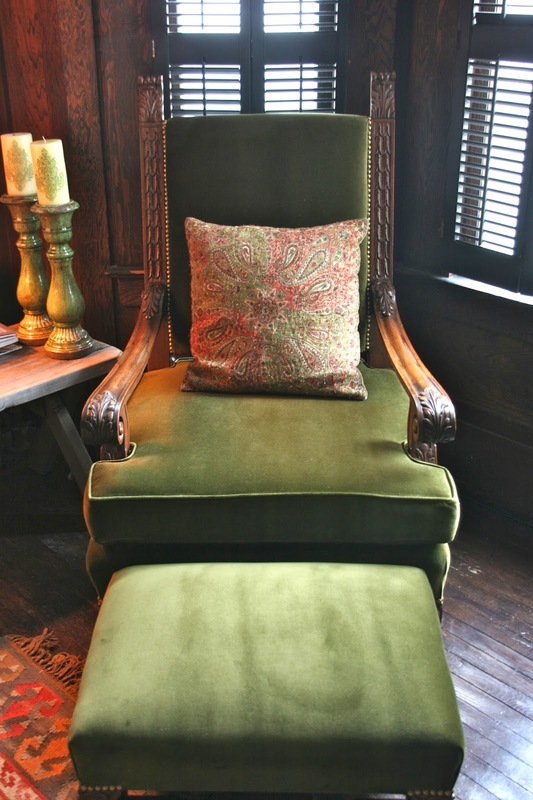 Love the chair in the green velvet! The chair looks gorgeous! So glad it stayed in the family! It looks great now! 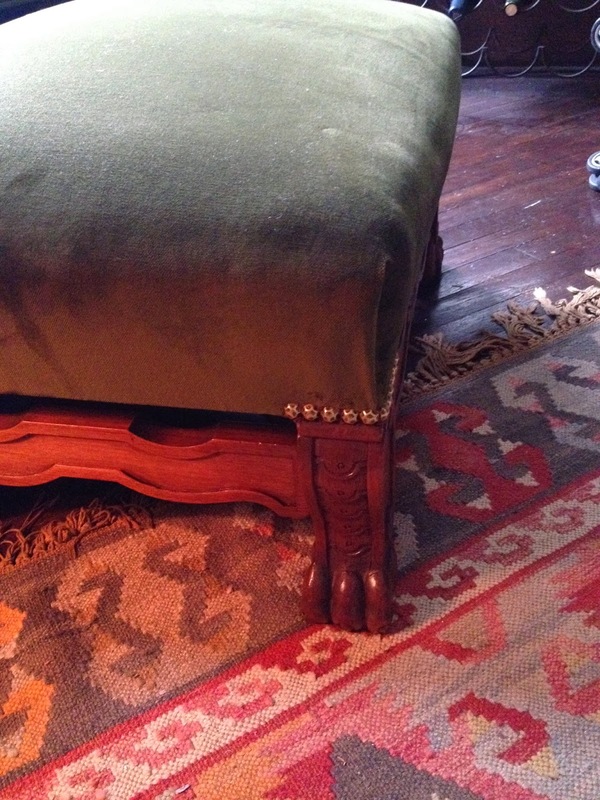 The nailheads add just the right amount of sass! You turned a clunker into a winner!